Millions of people around the world suffer from vision problems as they grow older. One of the most common conditions to affect them are cataracts. People over the age of 40 are very susceptible to cataracts and often require to undergo surgery to be able to see clearly again. Cataracts occur when the protein in a person’s eye becomes clumped and causes a hazy film to develop inside the natural lens of the eye. This results in blurry or cloudy vision and only gets worse with time if left untreated. People with cataracts require cataract surgery during which the affected lens in their eyes are removed and replaced with an implant. 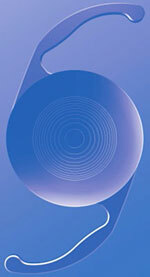 These are known as toric intraocular lens implants. These are specialized medical devices which are essentially monofocal lenses. They are implanted within a person’s eye in place of the natural lens which is extracted during surgery to correct conditions such as cataracts or astigmatism. These are also used to correct farsightedness or nearsightedness. Earlier, people who underwent cataract surgery needed to wear specific contact lenses or very thick spectacles to be able to see clearly. There were no implants available then. Intraocular lenses started making an appearance in the first half of the 20th century, and have since been approved by the FDA as effective and safe. How are toric intraocular lenses implanted? Toric intraocular lenses are unique because different meridians have different powers. This is especially useful in correcting astigmatism. These implants also possess alignment markings which help the surgeon adjust the lens inside the patient’s eye during cataract surgery for optimal vision correction. Before the surgery, the surgeon makes temporary markings on the cornea which help them identify where eye’s most curved meridian is located. Then, the affected lens is extracted through small incisions and the toric intraocular lens is implanted. The markings help the surgeon rotate the implanted lens ensuring proper vision correction. The incisions are stitched up and the patient’s vision is restored. How effective are toric lens implants? These implants are usually used to correct astigmatism, and their effectiveness depends on how far your condition has advanced. Most patients do not need to wear spectacles or contact lenses after an intraocular lens implant, but if an individual’s astigmatism is far too great for the toric lens to fully address, they may need additional procedures or eyeglasses. On a global basis, toric lens implants are responsible for the correction and restoration of vision in thousands of people.